On Tuesday, budget hospitality chain OYO Rooms became the latest entrant to the unicorn club, an industry term that refers to startups valued at $1 billion or more. It is set to receive $1 billion (about Rs 7,300 crore) in fresh capital in a round led by Japanese internet conglomerate SoftBank Group Corp. Besides SoftBank, investment firms Lightspeed Venture Partners, Sequoia Capital and Greenoaks Capital also invested in the company. The round values OYO at $5 billion, more than the combined market value of all publicly listed Indian hotel chains including Taj, Oberoi and Lemon Tree. Run by Oravels Stays Pvt. 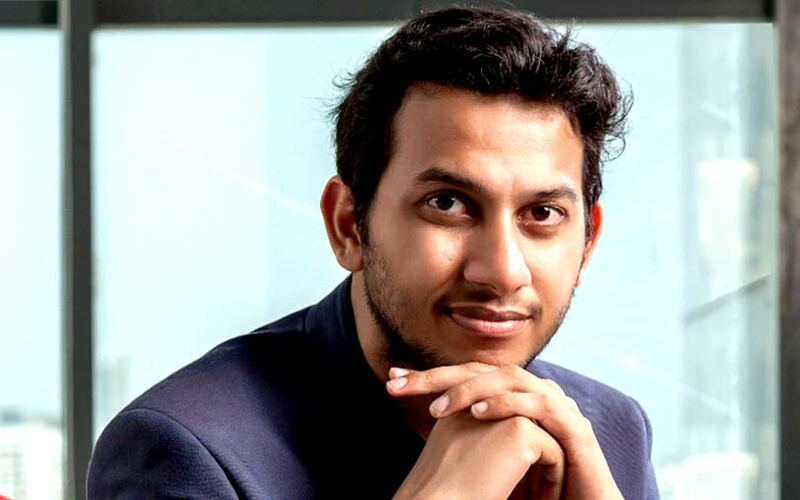 Ltd, OYO Rooms was founded in 2013 by Ritesh Agarwal, who was 20 years old at the time. Initially, the firm aggregated hotels under its brand OYO, but since January 2016, it is gradually shifting to a full-fledged hotel chain model. The company has also suffered setbacks in the form of malpractices from some of its hotel partners. Following this, it gained more control over its inventory and pricing. How will you use this capital? Will it boost your expansion plans, especially abroad? We will utilise the fresh capital to strengthen OYO's position in India and China while exploring international geographies marked by the demand-supply imbalance and a fragmented hotel market. But a significant part of the funds from this round of financing will go towards strengthening our position in China, which is still in the early stages of growth. During the past five years, we have expanded OYO's chain of hotels to 350 cities globally in five countries. With 125,000 rooms in India and three times growth in transactions year-on-year with net take rates of over 20%, we look forward to utilising the capital to strengthen our leadership in India. Within 10 months of our foray into the market, OYO China is present across 171 cities with over 87,000 rooms. Will there be bigger and aggressive acquisitions from this funding round? If yes, who do you have in mind? While we do not have something specific to announce at the moment, we will continue to explore newer businesses while remaining focused on both organic and inorganic growth. Our acquisition strategy is targeted towards acquiring entities that assist us in building capabilities. For example, our recent acquisition allowed us to join forces with Weddingz.in to offer customers a one-stop platform for all their needs related to organising a wedding including beautiful and spacious venues, decorations, catering and a dedicated wedding planner. With AblePlus, we strengthened our tech stack while adding Internet of Things capabilities to it and the acquisition of Novascotia Boutique Homes was our foray into the serviced apartment category, which was later christened as SilverKey. Beyond the market size, what is your strategy for China? China offers a tremendous opportunity both in terms of the market size and travelers. The country’s tourism industry is on the cusp of booming and enjoys a steady influx of both domestic and international tourists. Interestingly, China’s hospitality landscape is as fragmented as that in India. Our expertise in managing hotel chains backed by technology and a localised business model makes it possible for us to offer standardised experiences at scale. We will strengthen our footprint in China by focusing on locally relevant standardised services at affordable prices. How will your lessons from India drive your China and overseas strategy? Our asset management, transformational and operational capabilities have been of utmost importance as we ventured into China and have fuelled the exponential pace at which we have grown in the country. The revenue figures do not reflect your on-ground strength. Why is it so? With the growth in the number of hotels and homes that comprise OYO’s chain, our financial performance has gained strength. For the financial year 2016-17, OYO’s revenues saw a seven-fold rise and operating revenues stood at Rs 125 crore, as compared to Rs 17 crore reported in 2015-16. This revenue growth has been fueled by more than two times increase in room nights and significant improvement in intake rates. We successfully reduced the losses by 27%. Between January and June 2018, OYO Hotels in India clocked 17 million booked rooms. Currently, nearly 95% of our revenue comes from repeat and organic customers, and we are adding over 12,000 rooms to our chain of hotels in India. We are confident that we will end 2018 with over 180,000 rooms. How far are you away from profitability? OYO is profitable at a unit level which translates to us running a successful and profitable business for our hotel and asset partners. Do you have plans to list on the stock exchange in the near future? Currently, there are no plans for going public. Our goal is to ensure quality-driven experiences for our guests while running successful businesses for our asset partners.